Welcome to the Heart of Georgian Bay! Bring the family to explore our history and culture and connect with nature. Join in the fun at community events and celebrations, or discover unlimited outdoor adventure in every season. Walk into the past in the streets of Midland or Penetanguishene, where community history is on display in heritage homes, vibrant historical murals, and galleries featuring local artists. Visit our museums depicting the rich and colourful history that reflects the region’s three founding cultures. 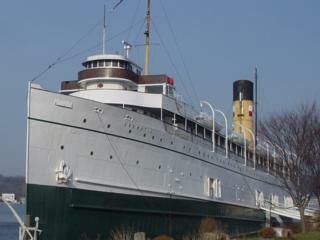 Historical attractions include a famous reconstructed 17th century Jesuit mission which is a National historic site and Ontario’s earliest European settlement, a 19th century British naval and military base, Canada's first reconstructed pre-European contact aboriginal village, and a magnificent original Edwardian steamship. Connect with nature and explore the outdoors on your own or with an interpreter at the local wildlife centre. See the natural blend of breathtaking landscapes on a Georgian Bay cruise. Enjoy the variety of seasonal recreation activities, or join the fun at local events and festivals.